Change to ability to claim damages for smoking? 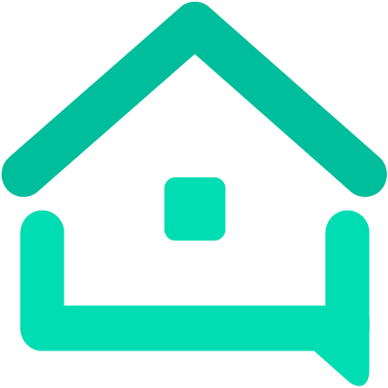 - hosting - We are your AirBnB hosts forum! This forum is dedicated to connecting hosts with other hosts. Sign up to get the latest updates and news just for AirBnb hosts! Note that we are not affiliated with Airbnb - we are just passionate hosts! Change to ability to claim damages for smoking? Face it, Airbnb is a bookings broker. They have Terms coming out of their yin-yang, but because smoking is a he said-she said situation, they appear to be absolving themselves of this one, too. I found the best way to deal with them is acceptance; specifically 2 convenient and comfy smoking areas. I guess they will be wanting them covered and heated next (!) and I ask them to wait a minute or two before coming in. So far so good. This is bad. Very bad. “No Smoking Fees” means they do not consider lingering smoke smell as a damage. Which is wrong and stupid. I have heard good things about freshairsensor.com. They have a sensor available to put in the unit to monitor for and immediately detect tobacco smoke and marijuana smoke. If it is detected it will send the host an immediate text message so that they can contact the guests right away ehile the smoking is taking place. Check it out . I wonder how much it will be and if there is a way to make it tamper proof. Wonder if you could have it send notices to several places, like the host and the link to the AirBnB guest so it would automatically indicate and keep a record with AirBnB. If someone is smoking on our property if means our son has to use an Eppy pen and go to the hospital–very expensive. Many people who make reservations with us say they are doing so because of our strict no-smoking policy. They have the same problem. They also make a sound like a fridge is running all the time that makes them very conspicuous. In my experience, they don’t work unless someone is really hot boxing the place. You have to install these in every room on every outlet if you really want to catch a smoker. We have 62 of these at a boutique hotel I host at and they catch smoking maybe 5% of the time. Just inquired and looked through all the info. The cost is $360. Or you can lease it for a $6/monitoring fee or a hybrid where you pay $120 for the unit and $4/month for the monitoring fee. The breakeven point is 5 years. Unfortunately they only accept minimum orders of 50 at this time. I am not spending $18k to use 14-20 of these and try to sell the rest at a breakeven of my time and investment. And especially so if they are not all that effective as Mexican says. Now, if Airbnb would guarantee me my smoking fines whenever they went off during a guest’s reservation, I might consider it. Last summer I had 1 guest who did over $300 in damages. She (Yes, a woman & she was over 65 & I thought “no worries, she’ll follow the house rules” but she owned up & paid, I had another single woman over 40 & she put a hole in the fiberglass shower/tub, I clean my own property & especially the tub/shower unit & know there wasn’t a hole before her, I did have photographic proof of other damage she did, she denied it & ABNB paid me out of their pocket. Fortunately all this was accomplished before the review period was over & I mentioned every rule she broke, the damage she did, the fact that she refused to take responsibility & that ABNB reimbursed me. So if she ever uses that account to try to book again future hosts will have fair warning. P.S. I’m sure I don’t need to tell you how mad she was about my review. Must have been a CSR who smokes!!! Airbnb is not my go-to for handling things like smoke smells. I have an ironclad rental agreement related to things like smoke that we settle in the local Court, and the agreement verbiage binds us with things like extraterritorial process so I can collect no matter where they are in the USA. Even the threat of Court action may cause some to pay. There is a lot more than that in agreement, but some of it is bluff. Of course, first you request of guests for payment. Then court. I don’t want to go to Airbnb for small stuff. They don’t really support the host and I don’t need them to keep record of how many times I try to get money from them. Their security is useless and not worth the aggravation. Altcoin Fantasy - Crypto Fantasy Trading and Simulation Game - Win Bitcoin and Altcoins!